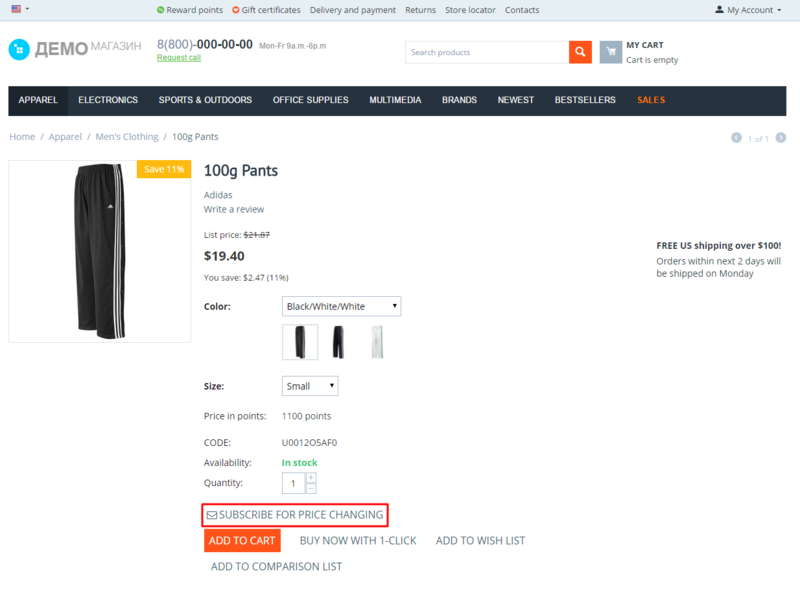 With Price Change Alert add-on you'll be easily able to keep users of a store informed about prices for desired goods via e-mail. 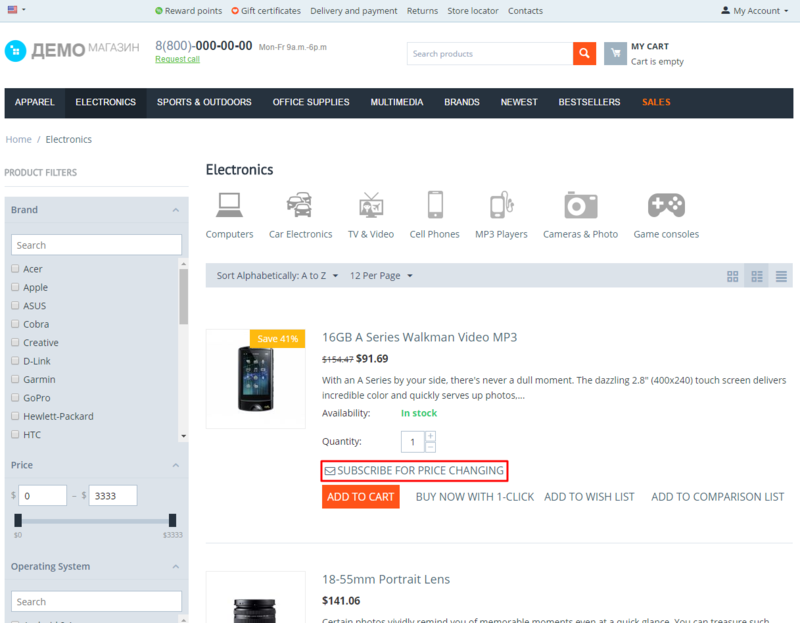 A potential customer needs only to subscribe to a product or its' available options in the catalogue by entering e-mail and selecting one of price change options. 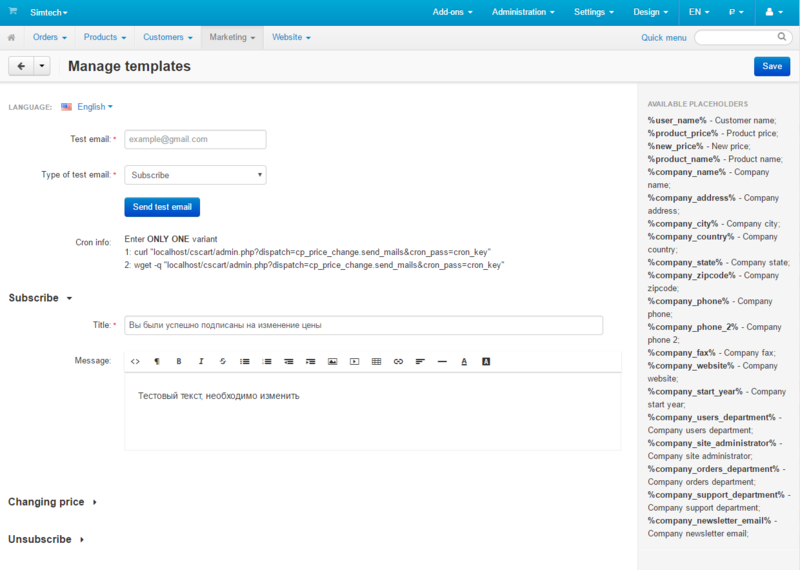 As soon as it changes, user gets a notification, configured by administrator with template editor. 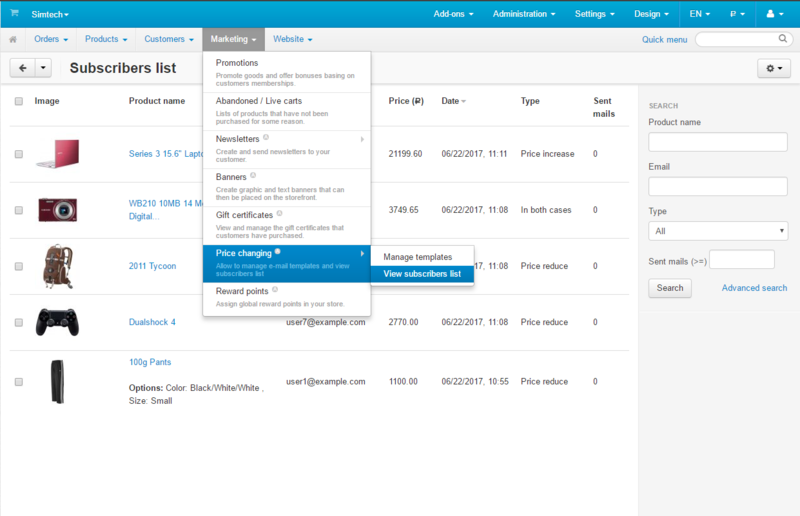 The add-on also allows admin to inform clients about wholesale discounts and merges all existing subscriptions into a single list. 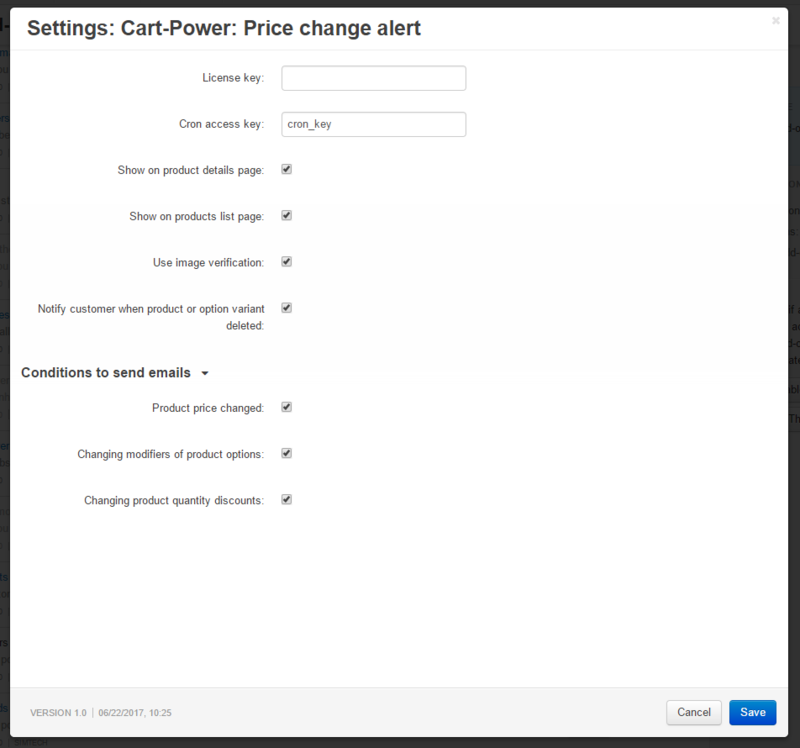 User's subscription to e-mail notifications about product's price change: reduce, increase, both reduce and increase. 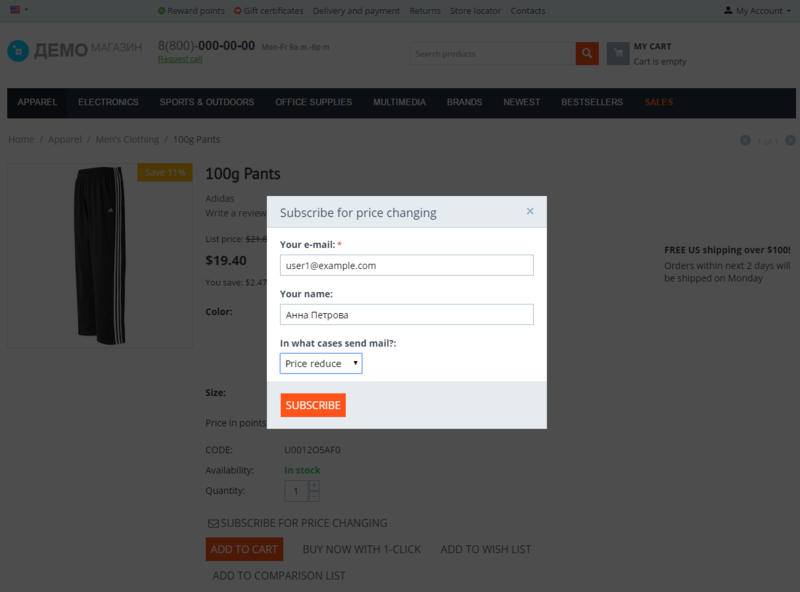 Subscription to specified options of a product: size, color, etc. Notifications for users about subscriptions cancelled by administrator. 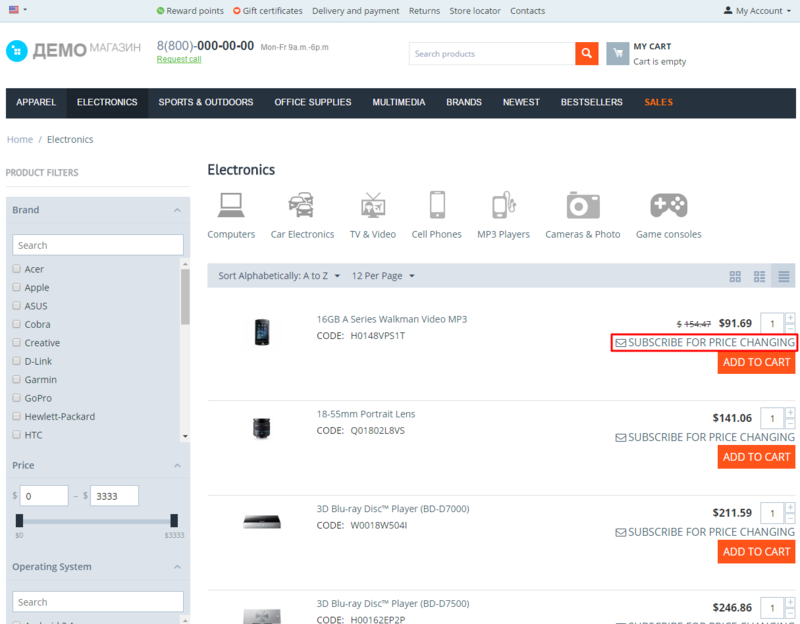 Displays subscription button at product page and in product list. 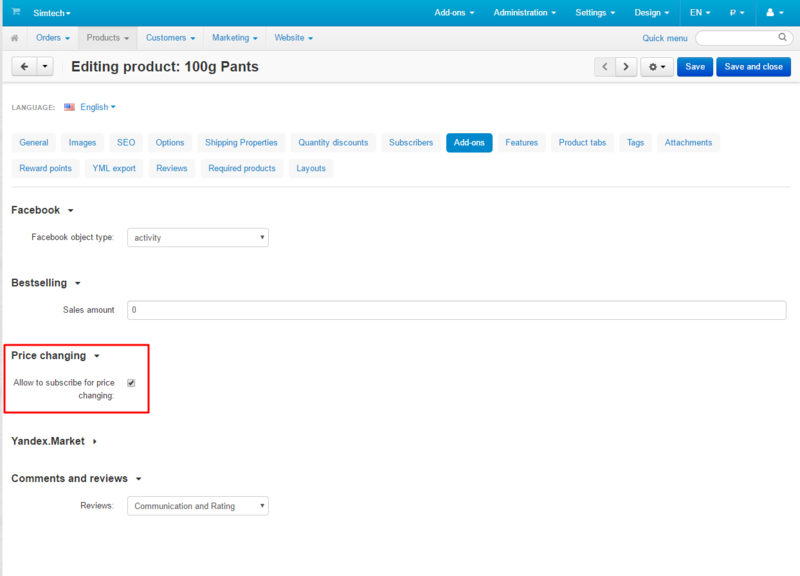 Separate menu in administration panel for working with subscriptions. Convenient list of existing subscriptions for administrator.